The Stickman has bought a new bike and wants to try it for these fun circuits full of obstacles. It is the first time you drive one of these vehicles so you will have our help to reach the goal in each level. 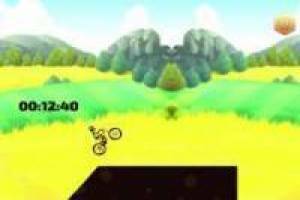 Use the arrows on the directional cursor to move and prevent the bike from losing control in the air. The arrows above and below will help you to stabilize the bike when you are about to capsize, in order to land in the best possible way. You will have to advance in the levels, getting points that you can exchange for new and more powerful bicycles. Help Stickman become a professional by riding a bicycle. 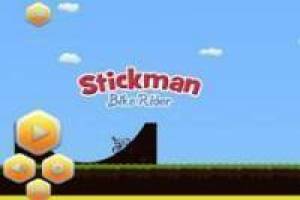 Enjoy the game Stickman Bike Rider, it's free, it's one of our Stickman games we've selected.